One Times Square or just Times Tower stands on an isolated triangle of land at Broadway, Seventh Avenue, and 42nd Street. The building was completed in 1904 to serve as the new headquarters of The New York Times. The Pubst hotel, built just 5 years before on the same lot, was demolished to give way to the new development. Before Times Tower was built, the square was named Longacre Square after Long Acre in London. 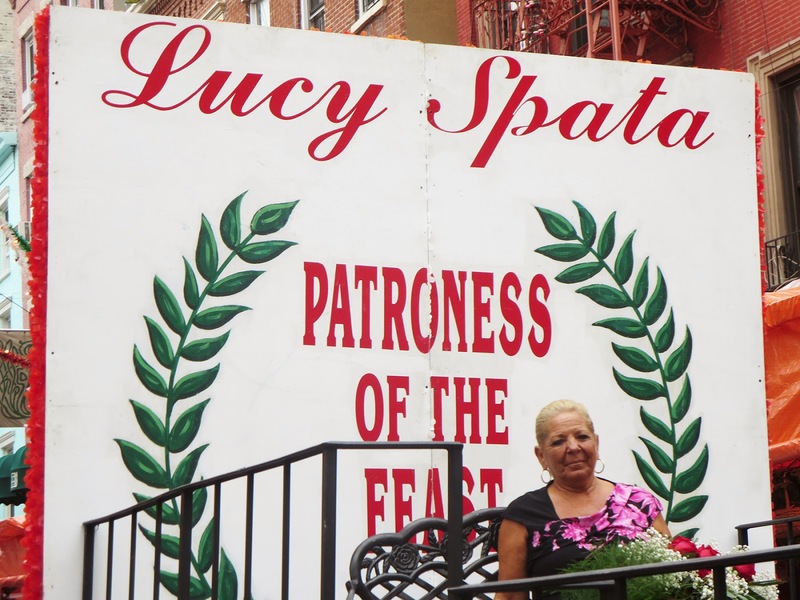 At the end of the nineteenth century the area was the center of New York's carriage industry, and Long Acre in London was where the carriage trade in that city was centered. The New York Times officially moved into the building in January 1905. 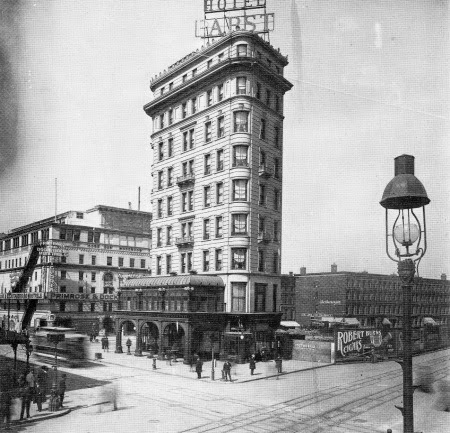 The paper's owner, Adolph Ochs, successfully persuaded the city to rename the surrounding area after the newspaper, becoming Times Square. 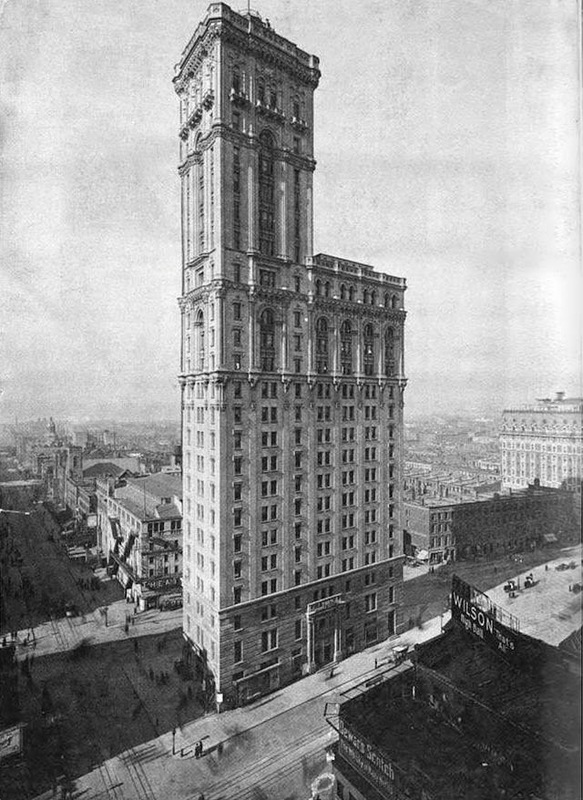 At that time the tower was the second tallest skyscraper in Manhattan. To celebrate the 1904 New Year Ochs threw a lavish New Year’s celebration that was to be “the talk of the town. The party was successful , but shooting fireworks off the building ended two years later when the city banned them. Times had to find a different symbol for starting the New Year. 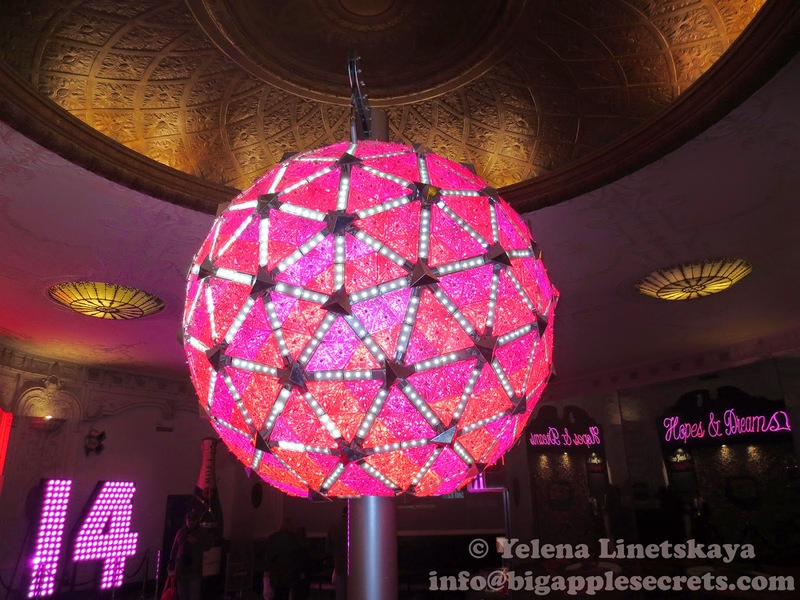 In 1907 the first New Year's Eve Ball dropped from the flagpole atop One Times Square. Six years after the first Ball drop, The New York Times moved to a new building. 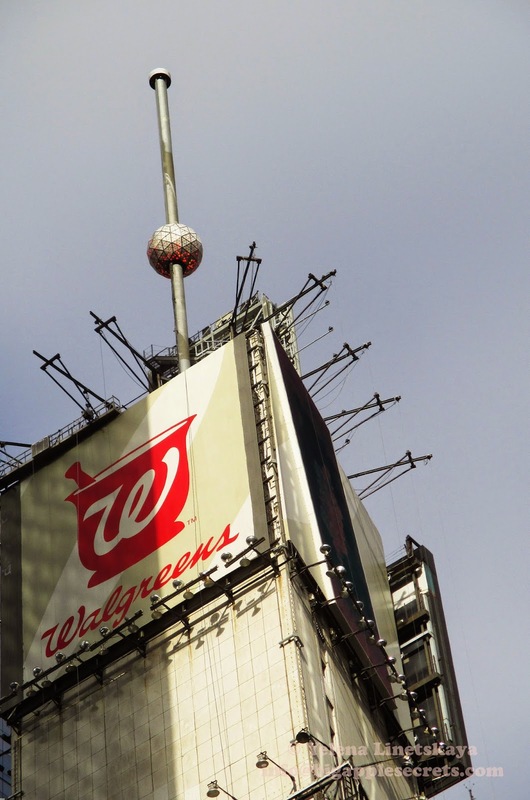 One Times Square is now totally empty except for a Walgreen's, offices for a New Year's planning company, and the Ball on its roof. 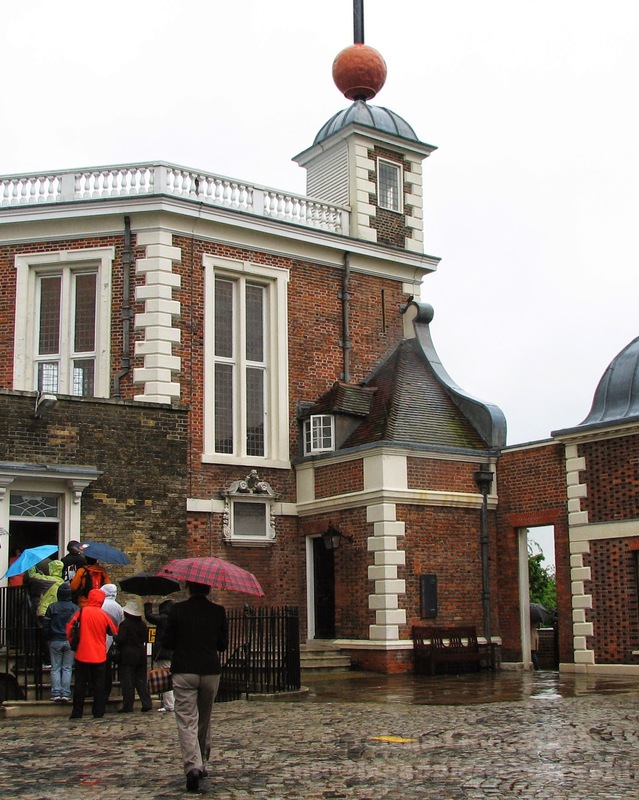 The first "time-ball" was installed atop England's Royal Observatory at Greenwich in 1833. This ball would drop at one o'clock every afternoon, allowing the captains of nearby ships to precisely set their chronometers. In 1845 a time ball was installed atop the U.S. Naval Observatory in Washington, DC . In cities, people set their personal clocks to the time balls. In 1884, someone even proposed erecting a time ball on top of the Washington Monument. The Ball on the Times Square has been lowered every year since 1907, with the exceptions of 1942 and 1943 because of the war time when the lights were dimmed in New York. 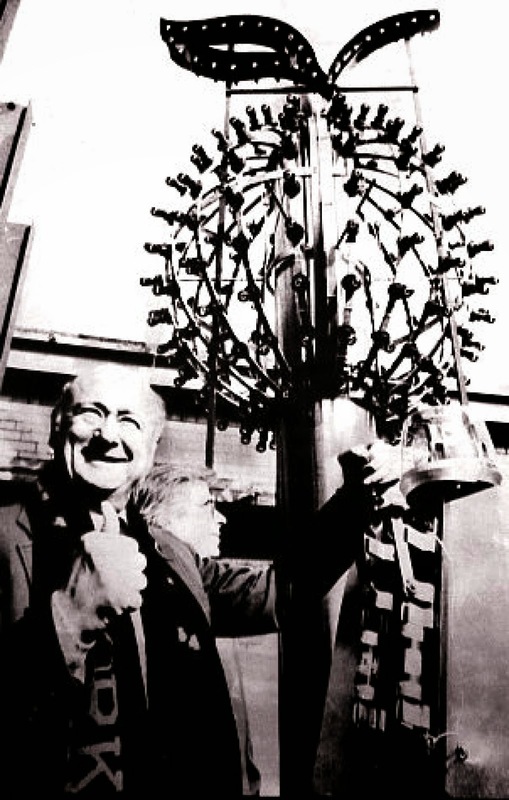 The first New Year's Eve Ball was made of iron and wood, and had one hundred 25-watt light bulbs. The ball was 5 feet in diameter and weighed 700 pounds. In 1920, a 400 pound Ball made entirely of wrought iron replaced the original. In 1955, the iron Ball was replaced with an aluminum Ball weighing a mere 150 pounds. This aluminum Ball remained unchanged until the 1980s, when red light bulbs and the addition of a green stem converted the Ball into an apple for the "I Love New York" marketing campaign from 1981 until 1988. After seven years, the traditional glowing white Ball with white light bulbs and without the green stem returned to brightly light the sky above Times Square. 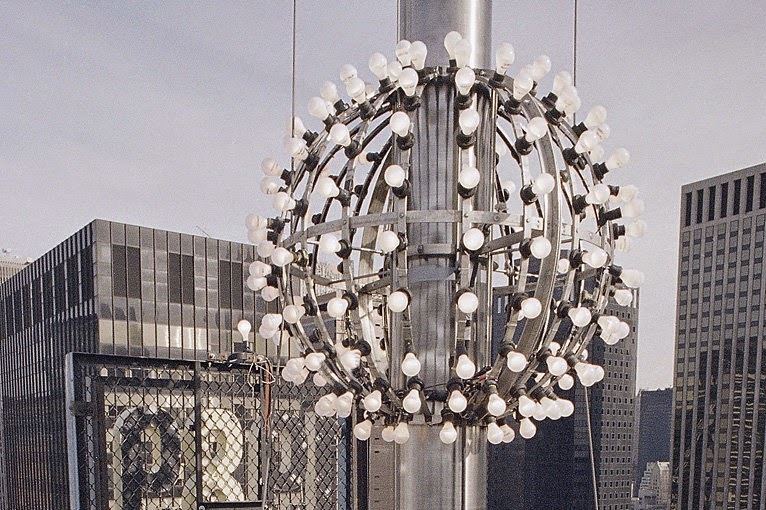 In 1995, the Ball was upgraded with aluminum skin, rhinestones, strobes, and computer controls, but the aluminum Ball was lowered for the last time in 1998. 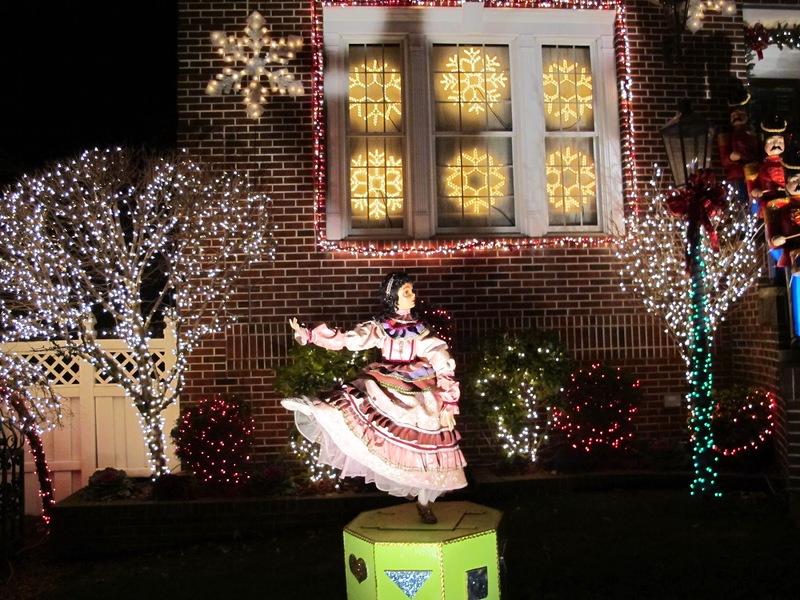 The fourth ball with over 600 halogen bulbs and 504 triangle-shaped crystal panels was constructed at Waterford's factory in Ireland, and was then shipped to New York City, where the lighting system and motorized mirrors were installed. 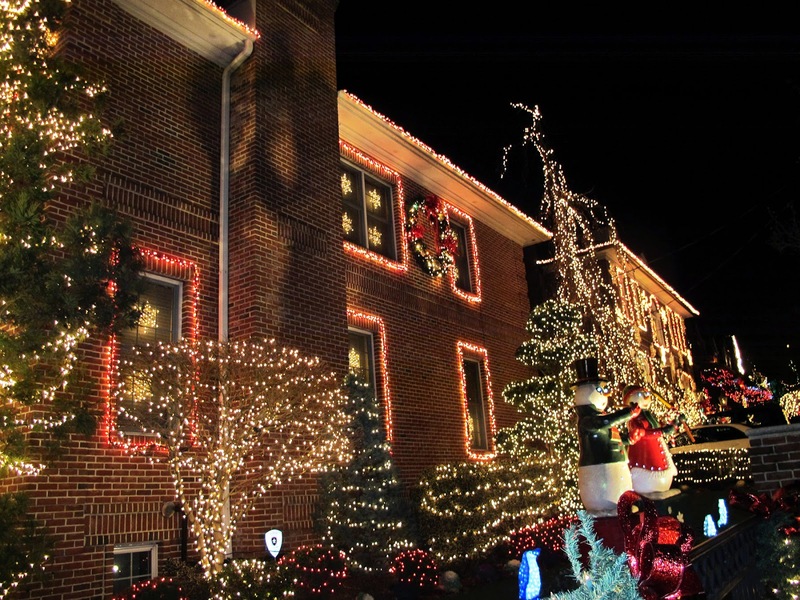 In 2007, for the 100th anniversary of the Times Square Ball Drop tradition, Waterford Crystal and Philips Lighting crafted a spectacular new LED crystal Ball - the Ball N5. There was an excellent Visitors Center on Times Square, now unfortunately permanently closed . 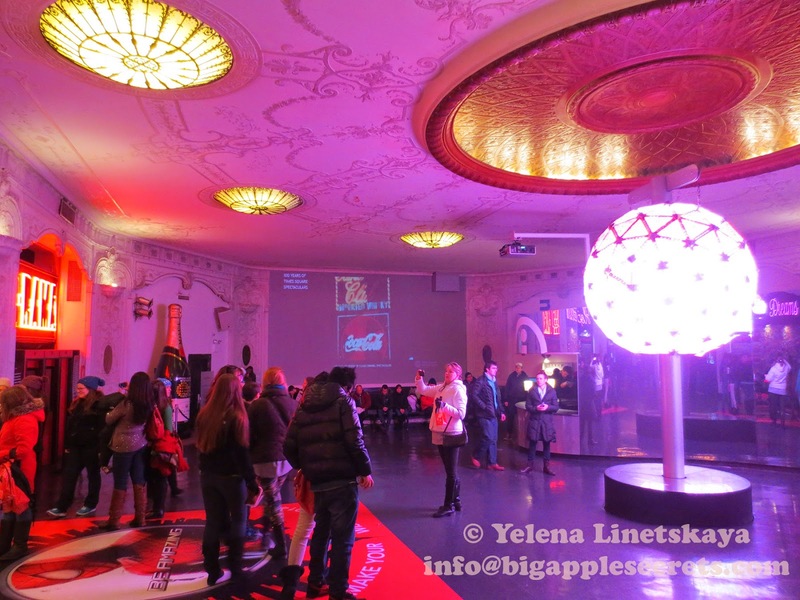 The 2008 New Year's Eve ball was on display. The ball changed color and did a faux-countdown every now and then. I was in this center several times and made a short movie with the ball. At midnight on New Year's Eve, as the Ball Drop signals the start to 2015, 3,000 pounds of confetti will flutter down on revelers in Times Square. The confetti will be covered in wishes, collected and displayed at the Mobile Wishing Wall set to be presented throughout Times Square during the month of December. 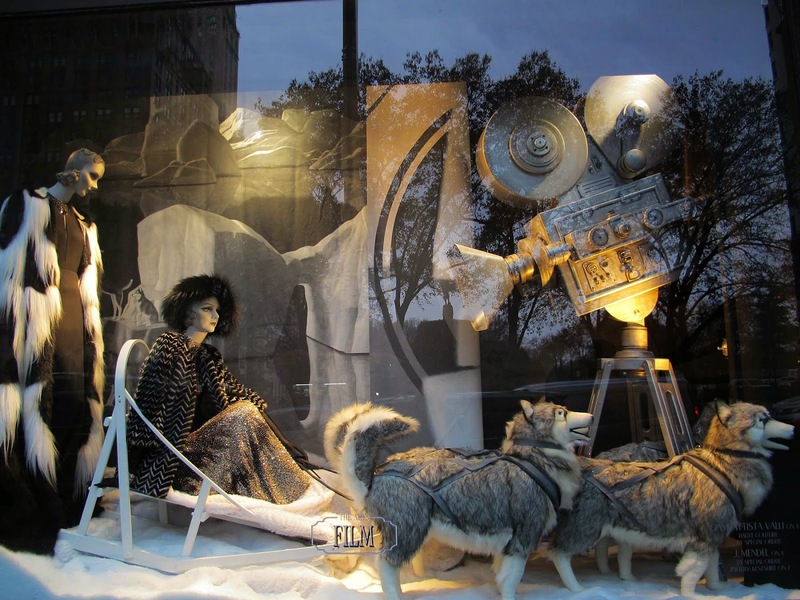 Lord & Taylor has been celebrating the holiday season by decorating their windows for passersby since 1938. In 1938 the owners avoid the traditional method of presenting store merchandise. 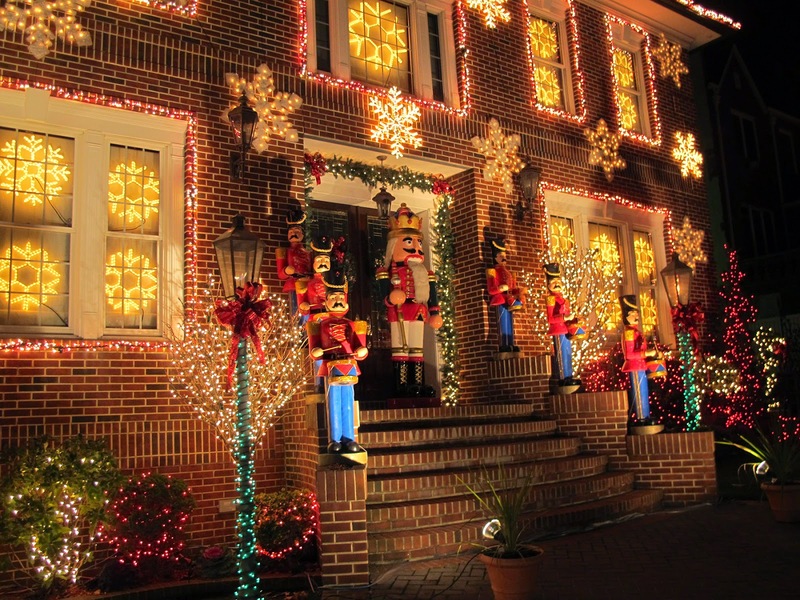 They created a purely decorative display of gilded bells that swung in sync with the sounds of recorded bells. Electricity allowed shop owners to light their windows at night and it attracted a lot of crowds far past closing time. 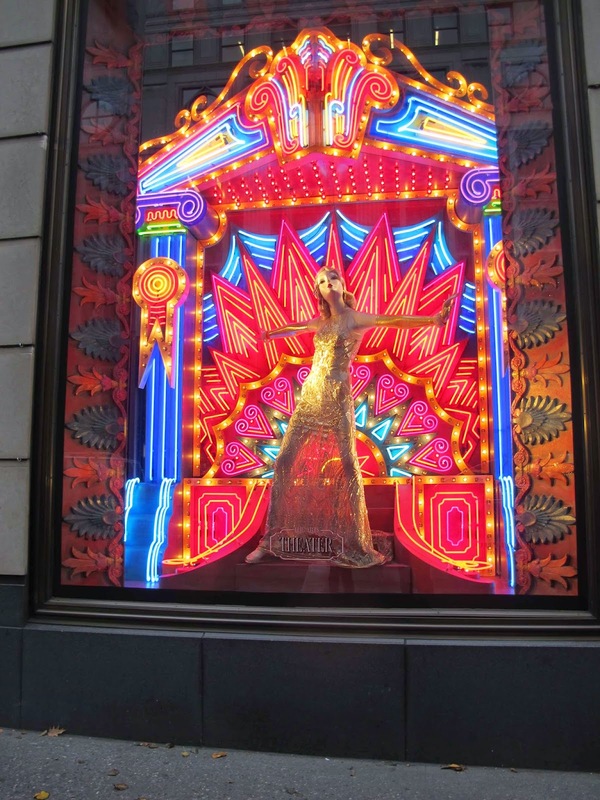 “It’s no different than a small Broadway production,” Manoel Renha, a window designer at Lord & Taylor, told The New York Times. 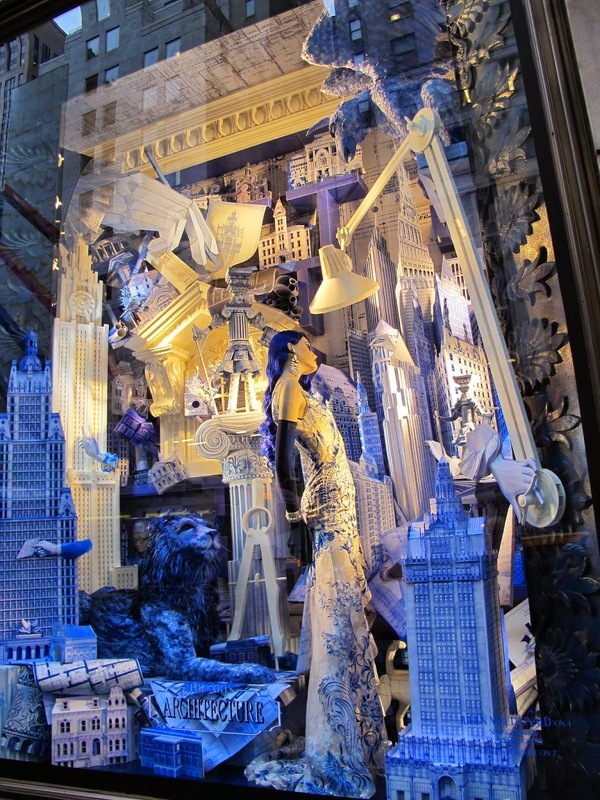 “It’s very elaborate.” And like a Broadway performance, the windows have become a destination attraction all their own. 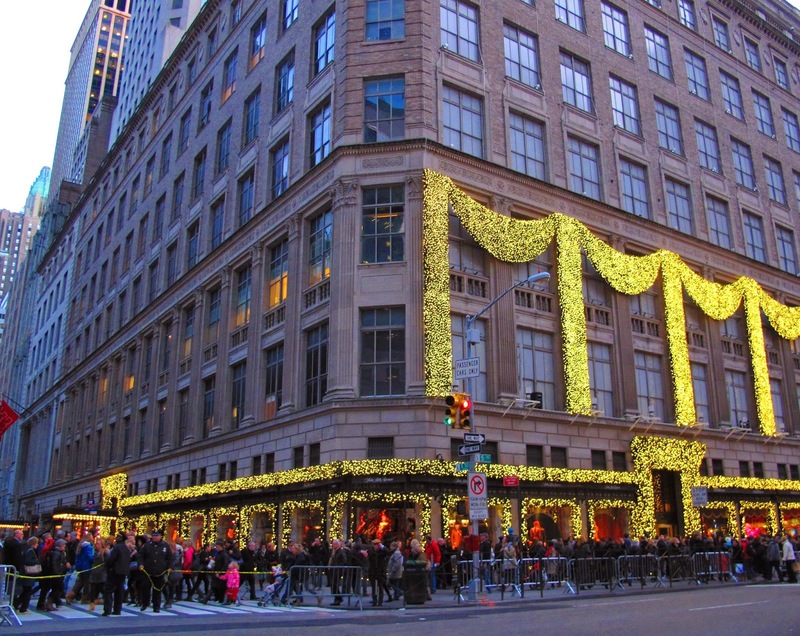 By Lord & Taylor’s count, more than 250,000 people pass by their windows daily during the holidays. 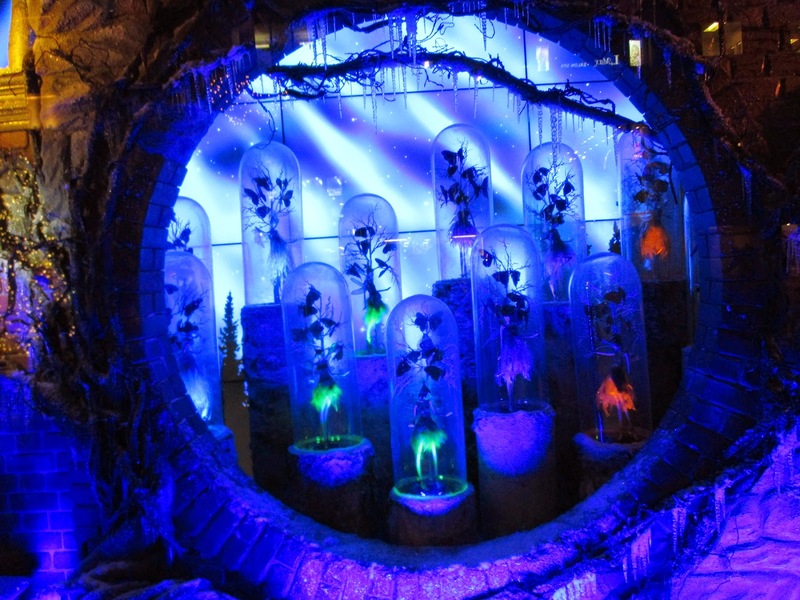 This year Lord & Taylor did a more imaginative holiday window than in the past. 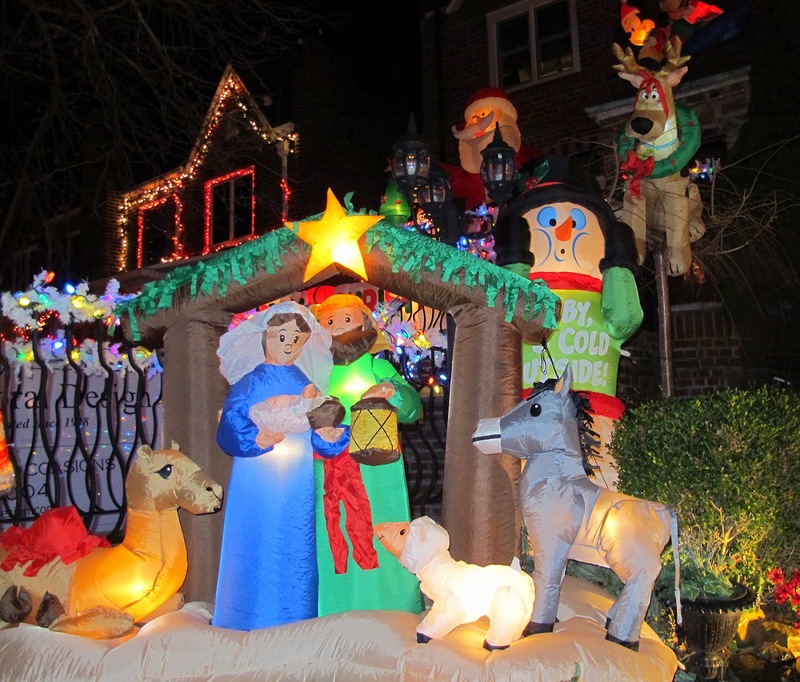 The windows were created by a team of over 50 people over 9 months. 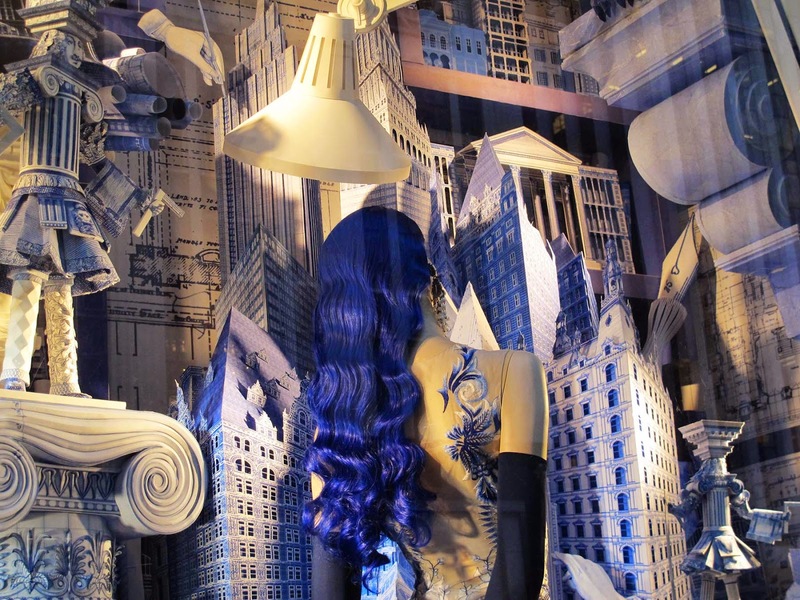 The window sets weigh up to 2,000 pounds and are the only department store windows on hydraulics; the windows were created in a workshop underneath the Fifth Avenue sidewalk and were then moved onto street level. 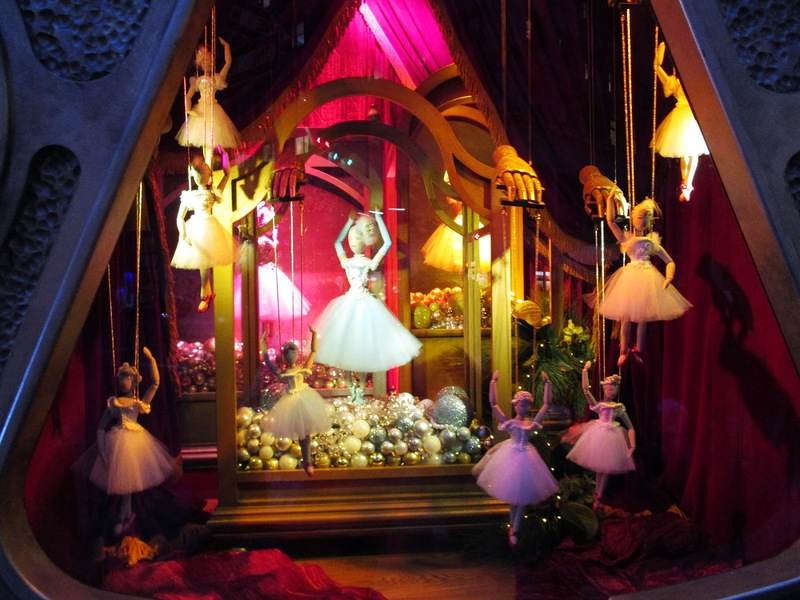 This year every window is converted into one of the rooms in the an enchanted mansion on the eve of the holidays. Rooms including “The Heritage Gallery” and the “Hall of Wisdom” are filled with surprises to delight and entertain, honoring the building’s 100-year history in decidedly modern fashion. 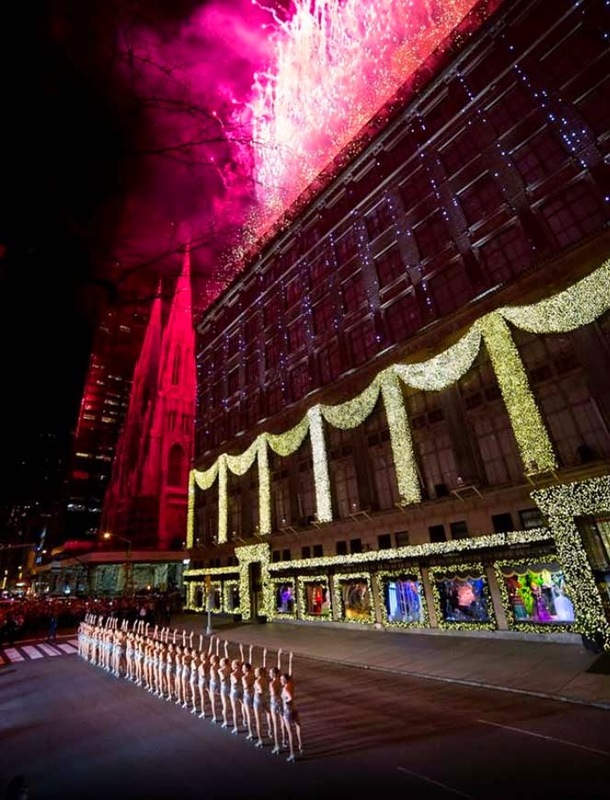 While the windows certainly shone on their own, Lord & Taylor enhanced the viewer experience with a first-ever video wall technology. 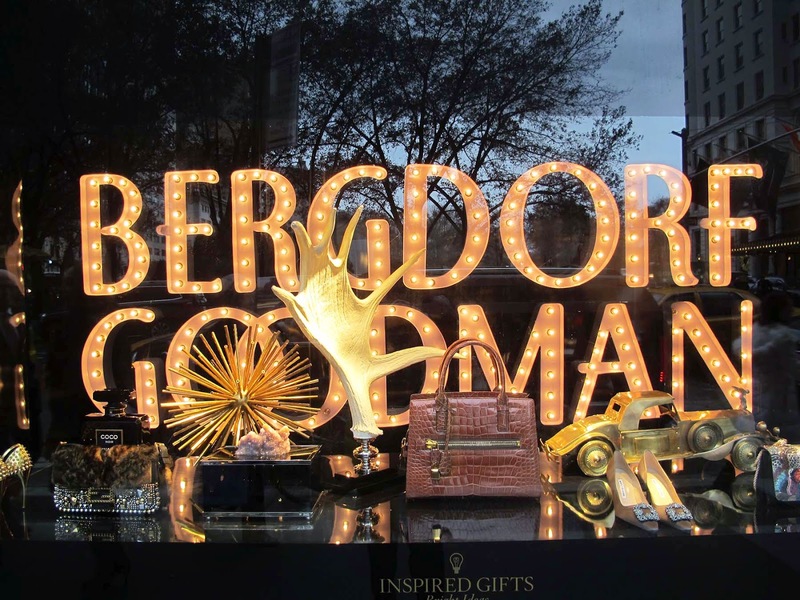 Bergdorf Goodman is a luxury goods department store in Midtown Manhattan. 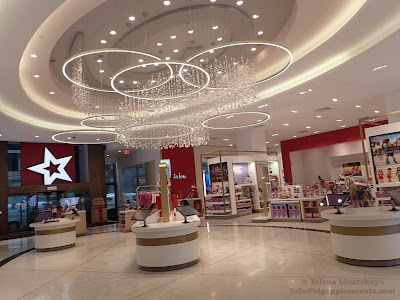 It is the only premier luxury store situated solely in New York. 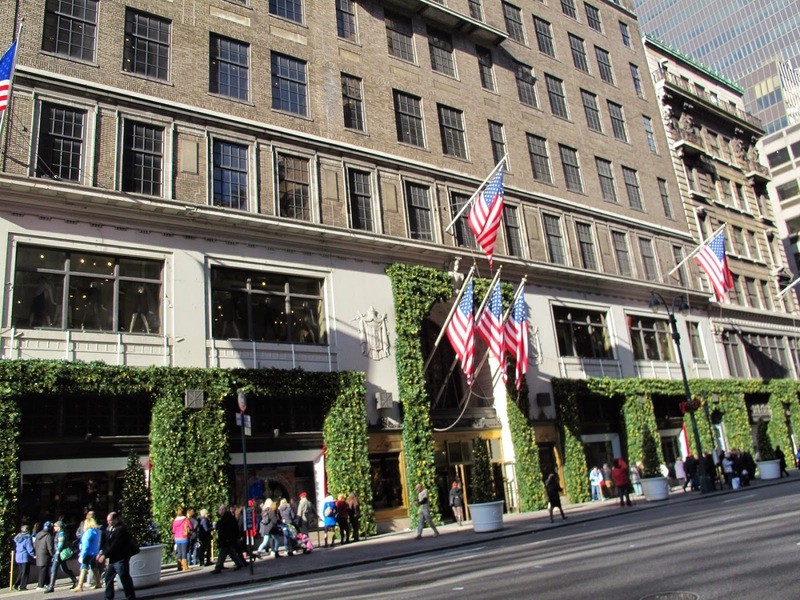 Bergdorf Goodman's main store, located on the West side of Fifth Avenue between 57th and 58th Streets opened in 1928. 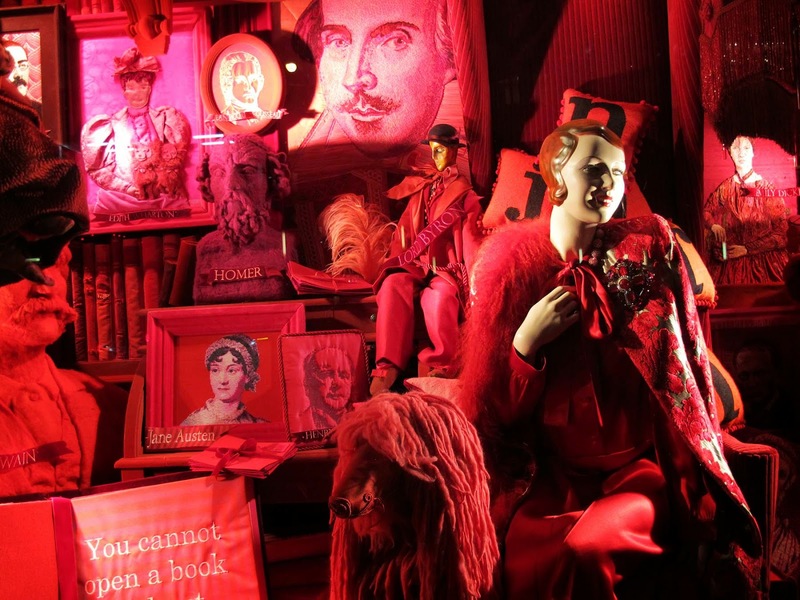 This year the store honored the Arts in its display this year, with windows celebrating literature, architecture, theater, painting, dance, sculpture and film. 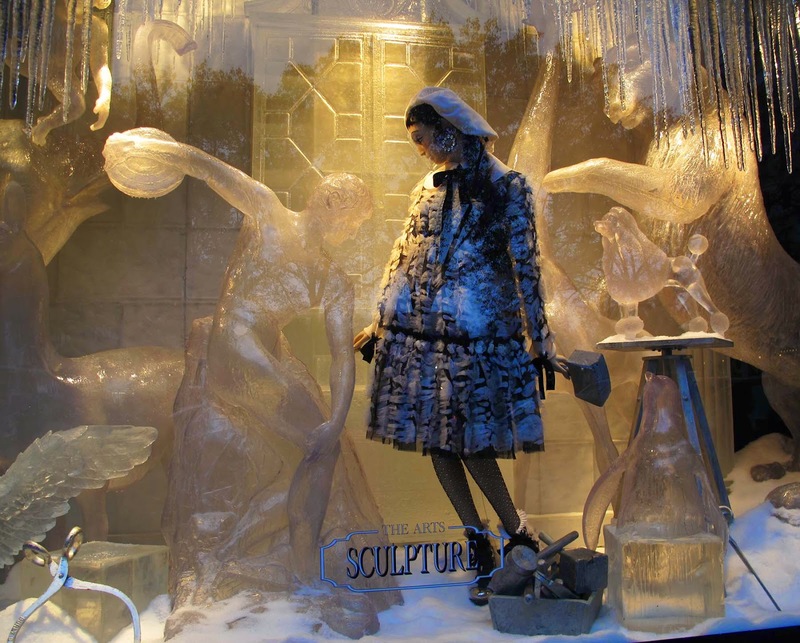 Bergdorf Goodman’s team of display artists spent 11 months planning and producing the spectacle, which will be on view through January 4, 2015. (...). 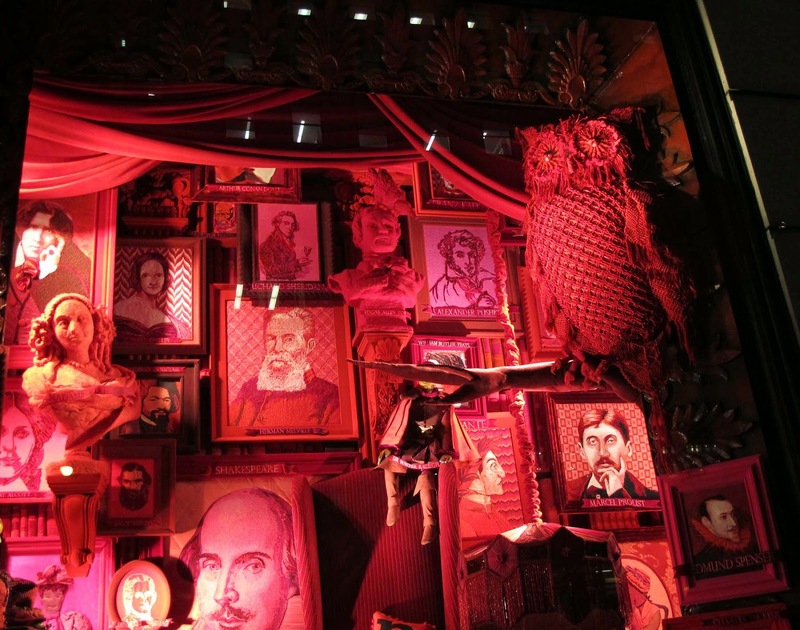 A few spoilers: The literature window has been made entirely from fabric, soft sculpture and needlework. The architecture window has been built completely from paper and old blueprints. The theater window is a sort of apotheosis of neon. We are interested in traditional craftsmanship and the revival of old-school techniques. 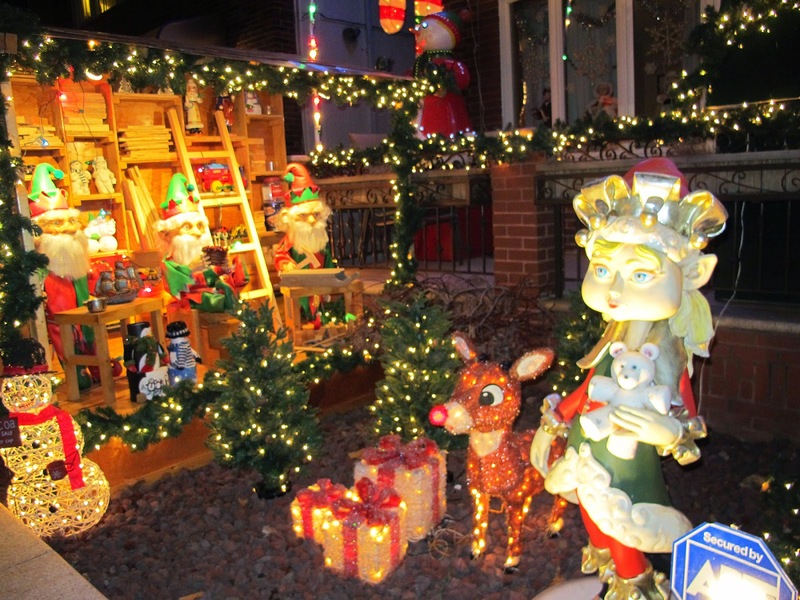 More than 100 artists and display artisans have contributed in some way to the completion of the windows this year. " The "Literature" window is my favorite. The storefront "Literature" window features a library that includes books, authors and great thinkers portraits, and a dress by Naeem Kahn. 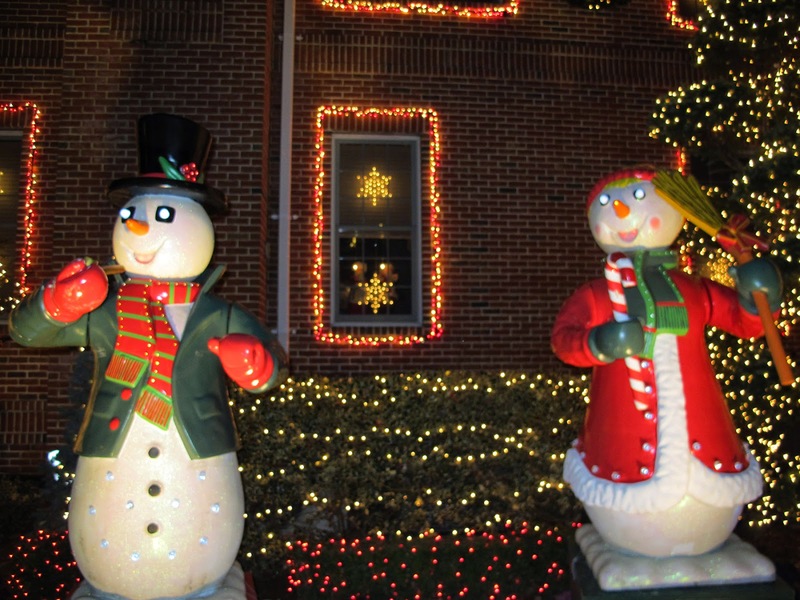 The bright red display was created with soft sculpture and fiber art, as well as custom needlework that required over seven million stitches. There are portraits of Shakespeare , Oscar Wilde, Jane Austen, Henrik Ibsen and Alexander Pushkin, quotes from Confucius and Walt Witman. You’ll need time to look at all these : the blueprints, buildings and ionic columns in the “Architecture” window, the neon lights of “Theater”, the silvery horns trumpeting “Music”. So do not rush. 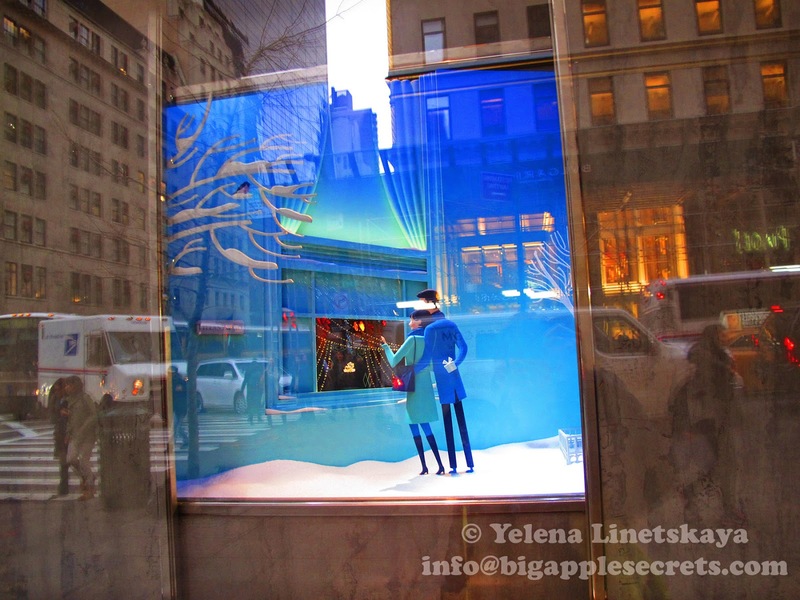 Steve Jobs said: “Everything is important- that success is in the details.” By the way the Apple store is across the road from Bergdorf Goodman. Paper was invented in ancient China during the Han Dynasty more than two thousand years ago and spread slowly to the west via the Silk Road. During the 6th century, paper was introduced into Korea and then into Japan by Buddhist monks. 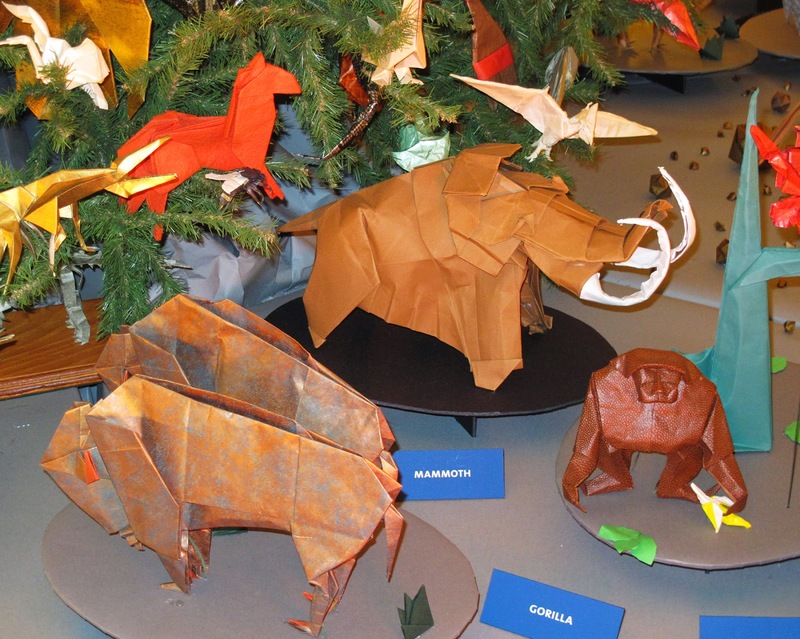 It is in Japan that paper folding became an art form and evolved into what we know today as "origami". In Japan, paper was expensive and not available to the general public that's why paper folding was limited to religious rituals and formal ceremonies. By the 17th century, play-origami was so popular in Japanese culture so that you could find kimonos decorated with paper cranes. The technique of paper making was introduced into Europe in the twelfth century . However at that time origami was not taken up by a large number of people as it was in Japan. By the beginning of the nineteenth century , origami was quite common across parts of Europe. There is mention of people folding paper into various shapes such as kites, boats, and birds. From Europe, origami then spread to South America and then to North America. Origami was relatively unknown in the United States until a woman named Lillian Oppenheimer discovered the flapping bird. Lillian wanted the world to share her love of origami. She started corresponding with paperfolders around the world. Through the 50's and 60's, Lillian became more and more involved with origami, and gathered around her a small group of equally dedicated and talented people. Among those people was Michael Shall, a young teacher from Pennsylvania. With several other people he founded The Friends of The Origami Center of America. Currently, there are thousands of origami books, free origami diagrams on the internet, and origami videos. The art form continues to evolve and develop. 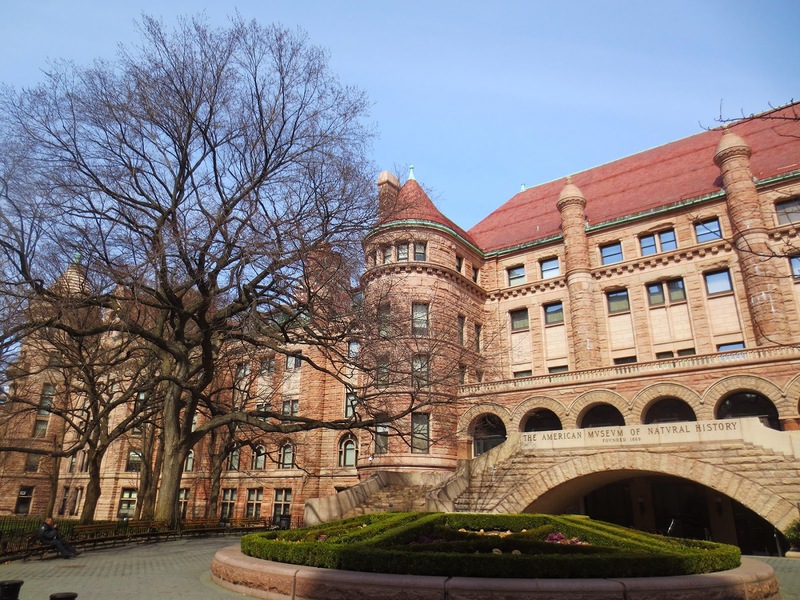 OrigamiUSA is headquartered in New York City's American Museum of Natural History through the generosity of the Museum Trustees. 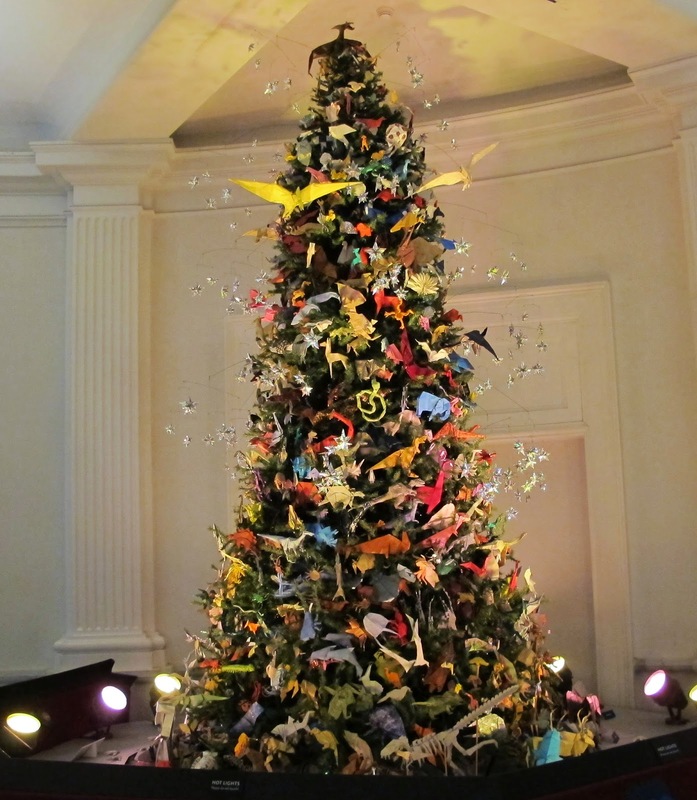 It is staffed primarily by volunteers and maintains the largest origami library in the world The Origami holiday tree is a 30 year tradition at the American Museum of Natural History. Volunteers begin folding in March to complete the hundreds of creations that will be displayed on the tree. 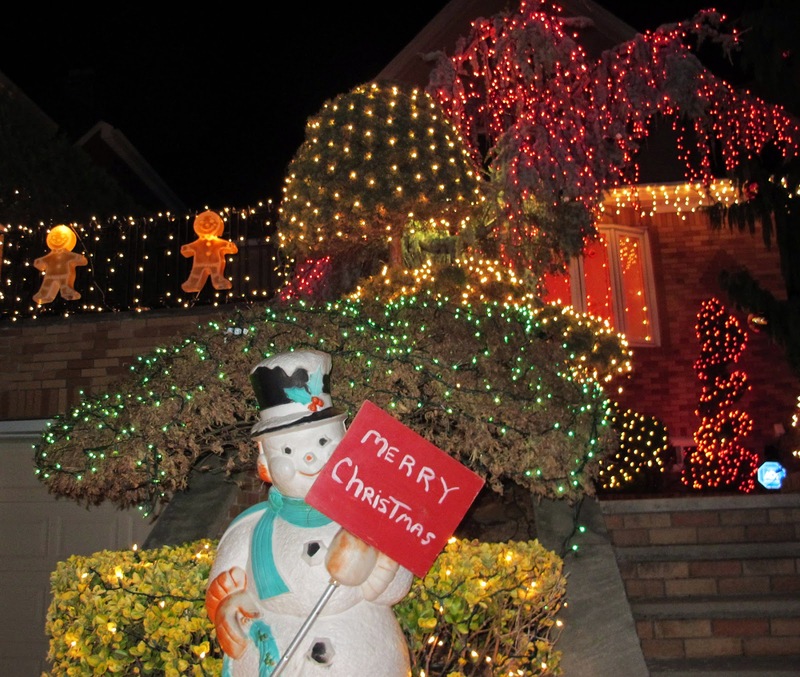 Every year there is a different theme for the tree. 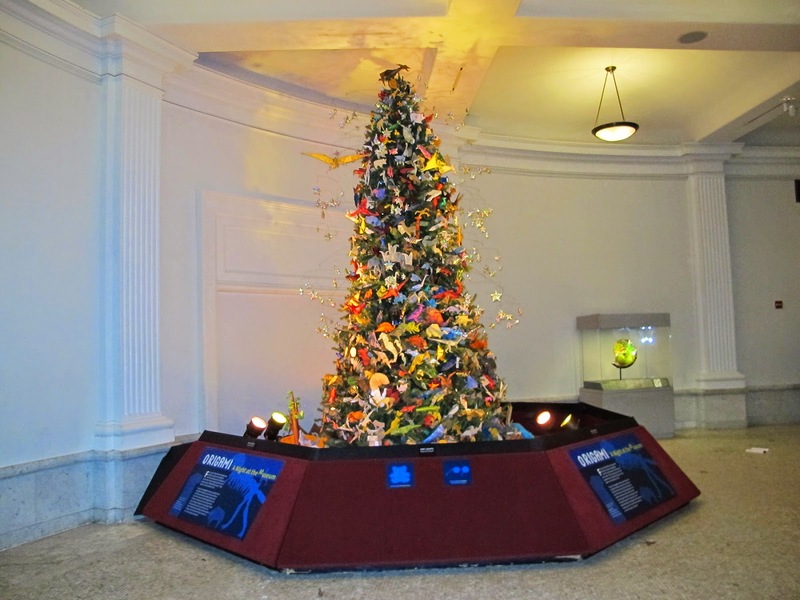 The theme for the 2011 tree is "The Biggest & The Best" -- paying tribute to the Museum's superlative displays, including the blue whale, "The Worlds Largest Dinosaurs" exhibit, and origami space shuttles in honor of the new "Beyond Planet Earth: The Future of Space Exploration" exhibit. 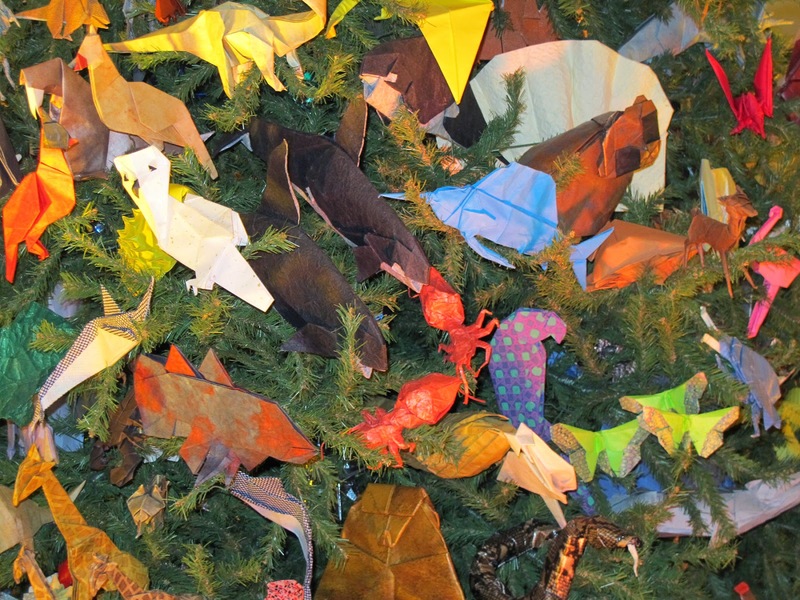 The theme for the 2012 tree was "Museum Collections" with 500 origami animals adorning the tree, each in groups. 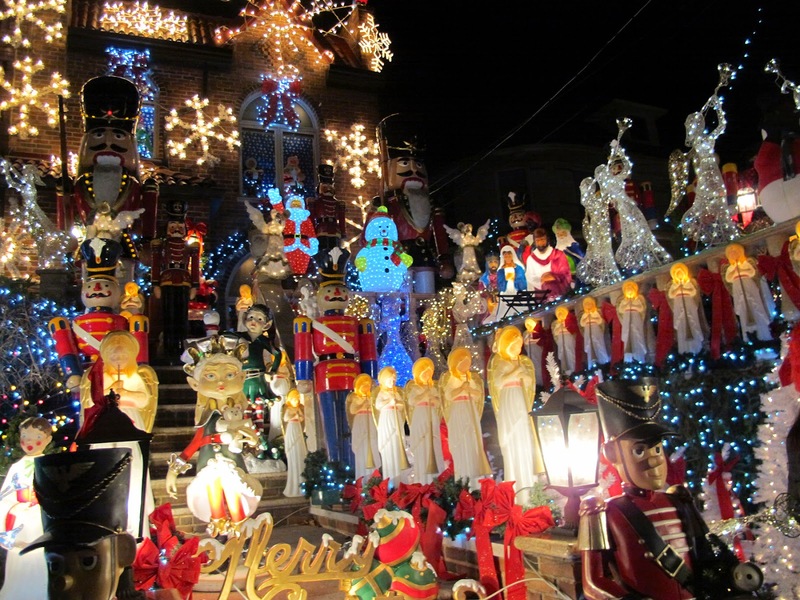 The 2013 year’s theme was Wicked, Wild, and Wonderful. It was inspired by the museum’s Power of Poison exhibit. 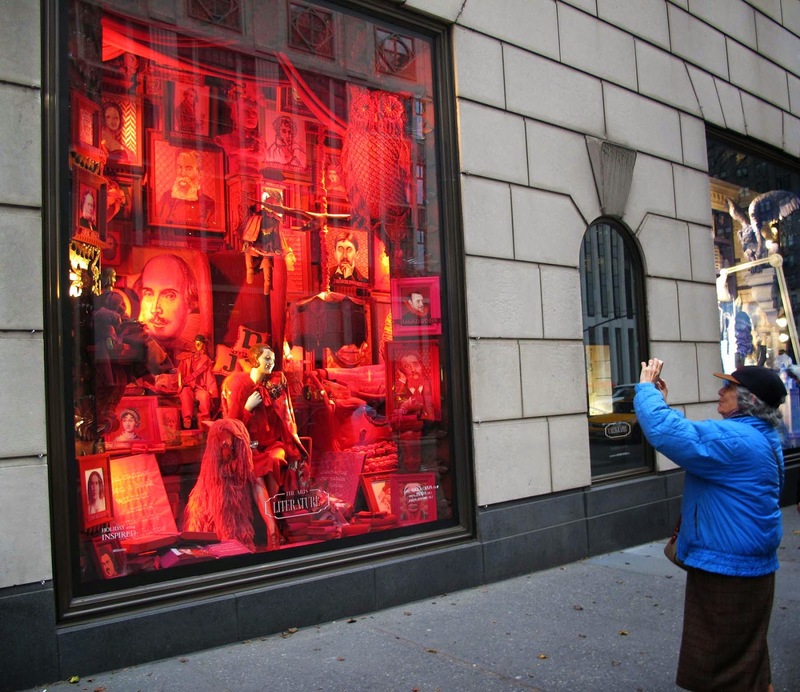 In 1837 Comfort Tiffany and his friend began a small fancy goods shop in New York. In 1848 they stared to manufacture their own jewelry. Crowned with a white ribbon, the Tiffany Blue Box is an international symbol of style and sophistication. 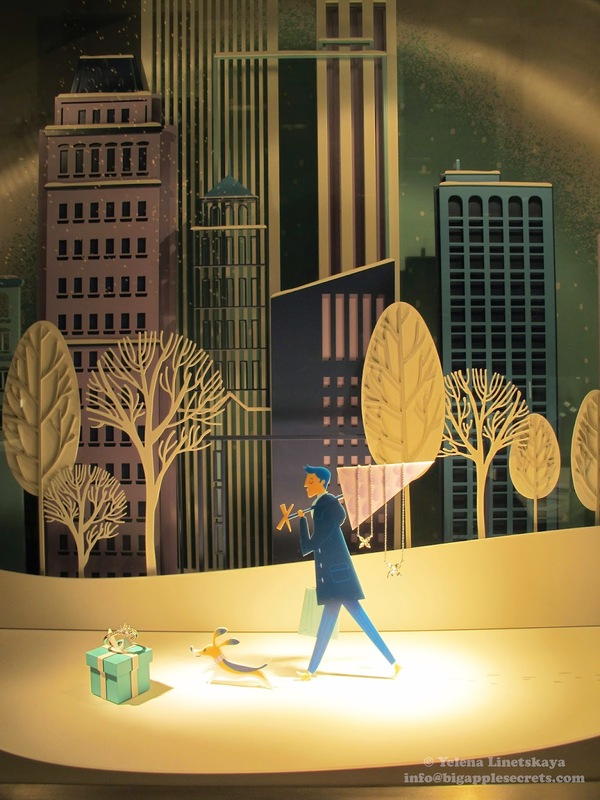 The 2014 Tiffany & Co holiday windows center around 1950s and '60s illustrations of New York, and for the first time, the brand has incorporated animated elements. 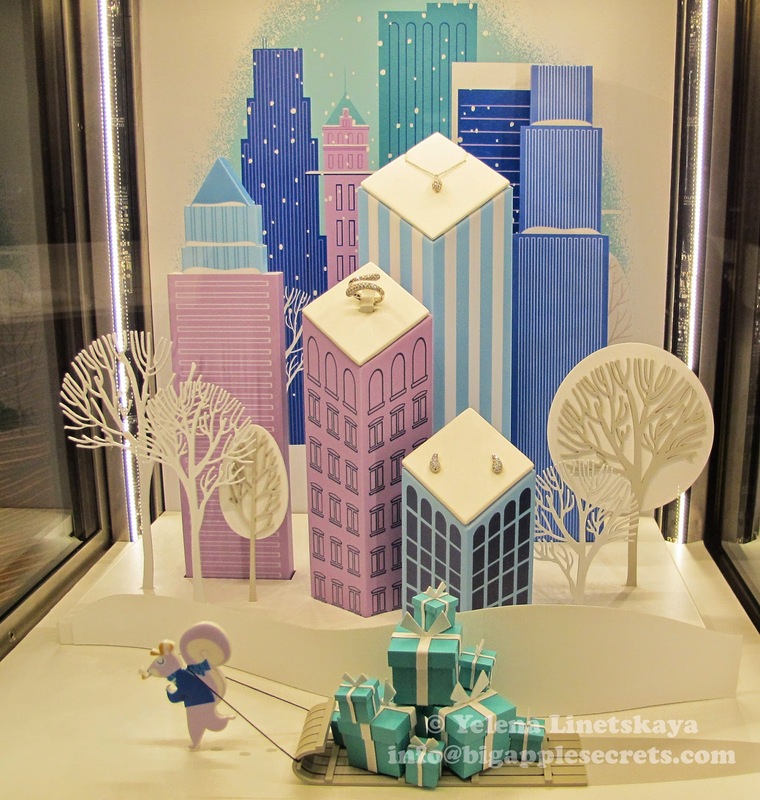 Each window featured a little scene of Manhattan and highlighted holiday traditions, such as the Rockefeller Center Christmas tree and a visit to Broadway, as well as landmark buildings like the Empire State Building, the Flatiron Building, and Tiffany itself. 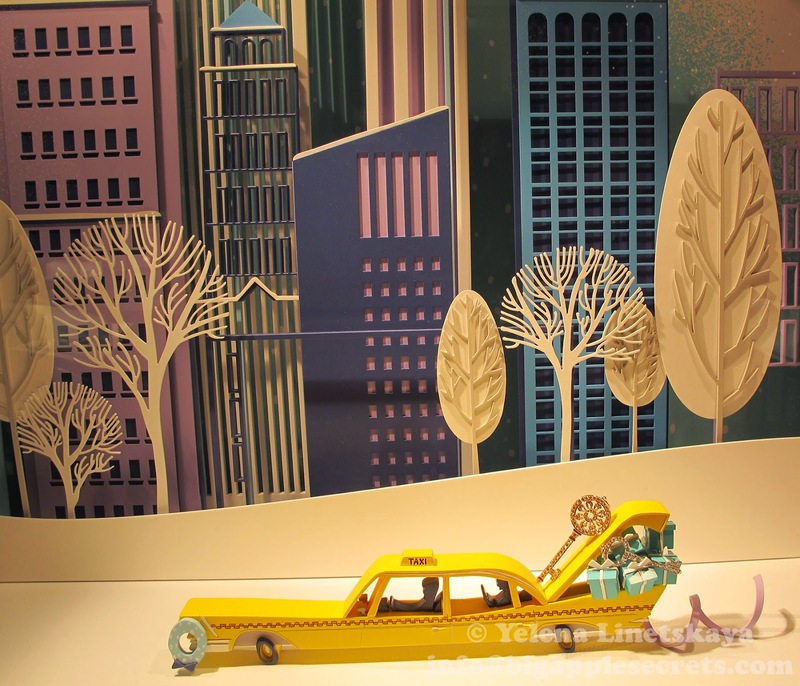 Tiffany Blue Box incorporated into each scene. 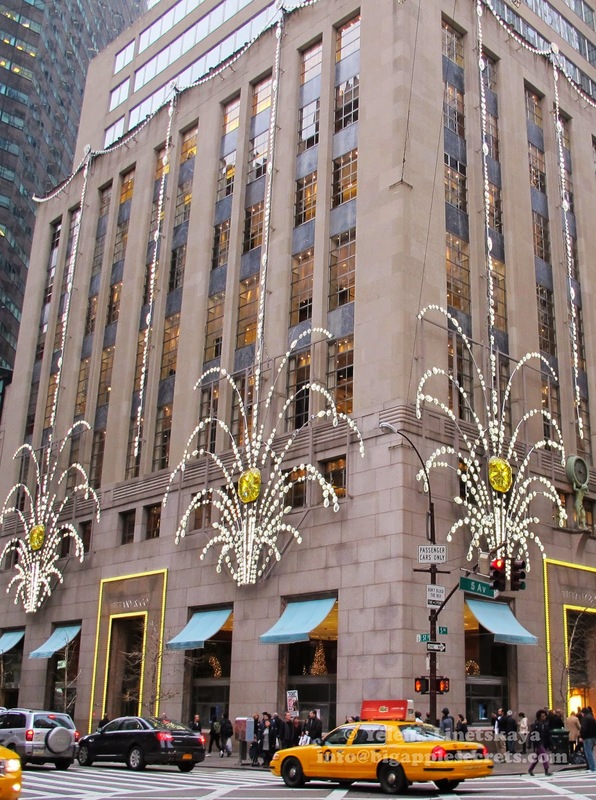 The Tiffany on 5th Avenue building is dressed up too, in a wonderful display of lights that looked like New Year’s Eve fireworks with a yellow diamond at the center. Do you like fairy tales? 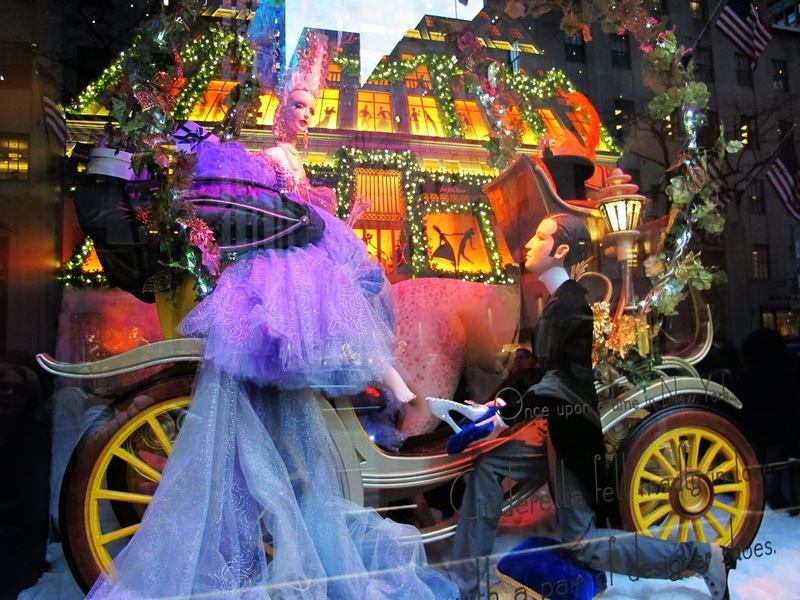 If yes, then you find the right place: Saks Fifth Avenue holiday windows! 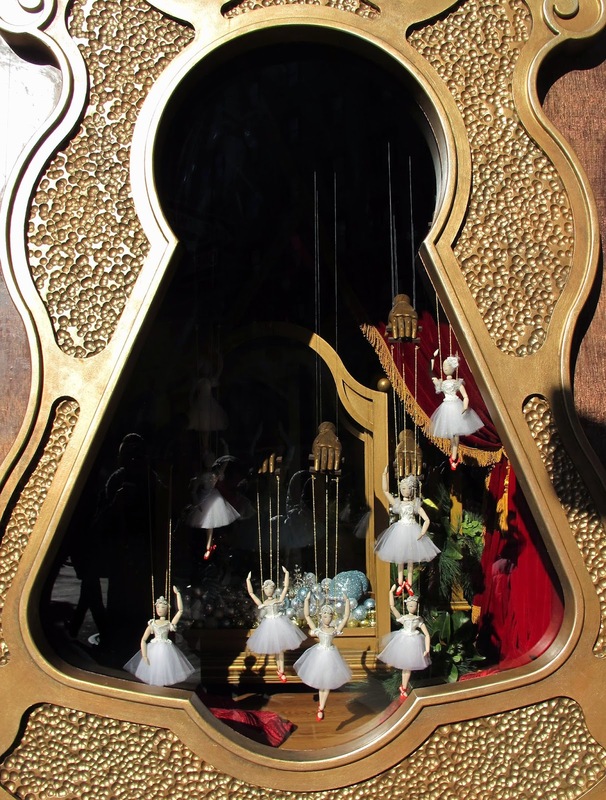 Every window is converted into a scene from the classic fairy tale that all we know from the early childhood. 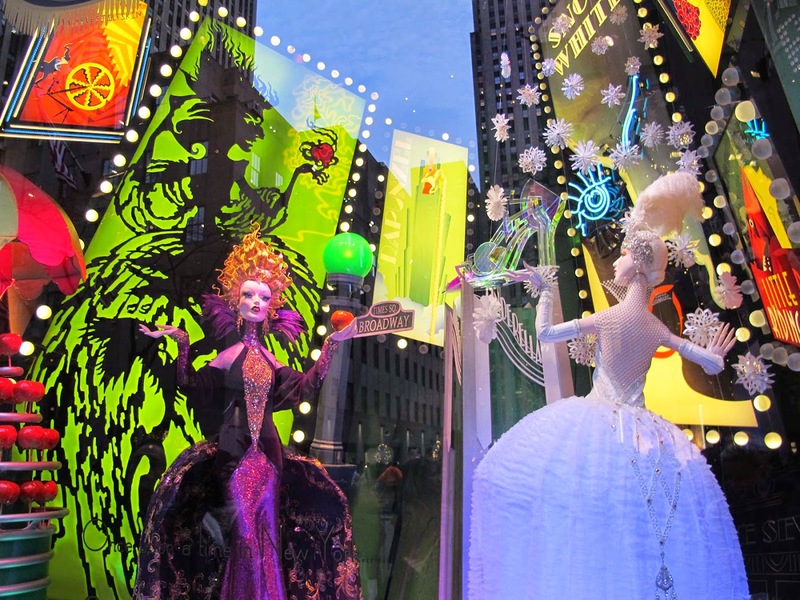 Saks Fifth Avenue has put together LEDs, strobes, up-lights, video projections and music to produce the colorful scenes with iconic New York locations as the background. You can find a very funny wolf in a bed and a girl in a red dress with a red hood and a basket in one of the windows. There is a Merlin Monroe picture on the wall of the room in this window. 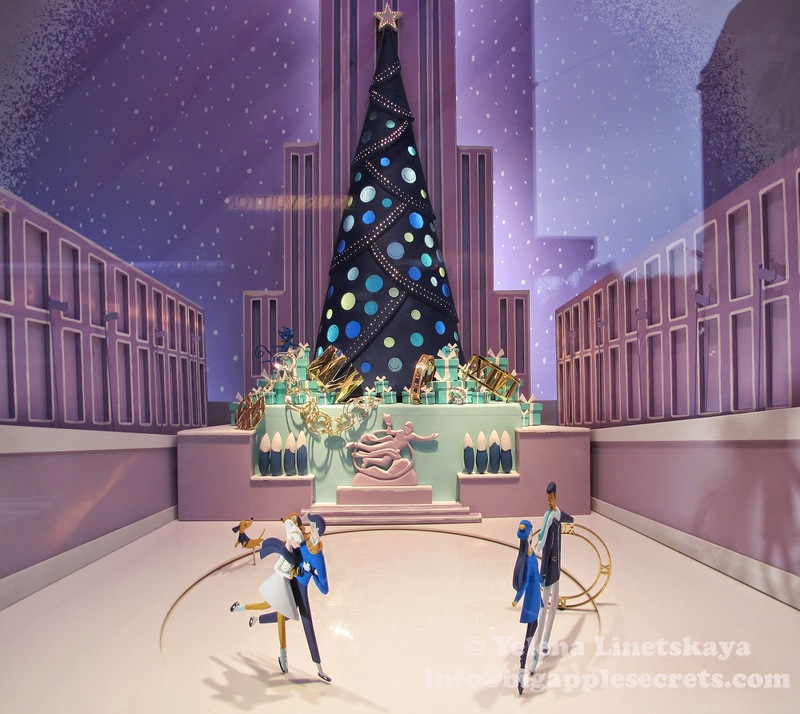 You can see Rumplestiltskin spinning straw into gold in the subway tunnels, Rapunzel using her hair to swing from the Empire State Building, Cinderella arriving at the Saks Fifth Avenue Ball and Snow White being tempted by an evil apple merchant in the heart of Times Square. 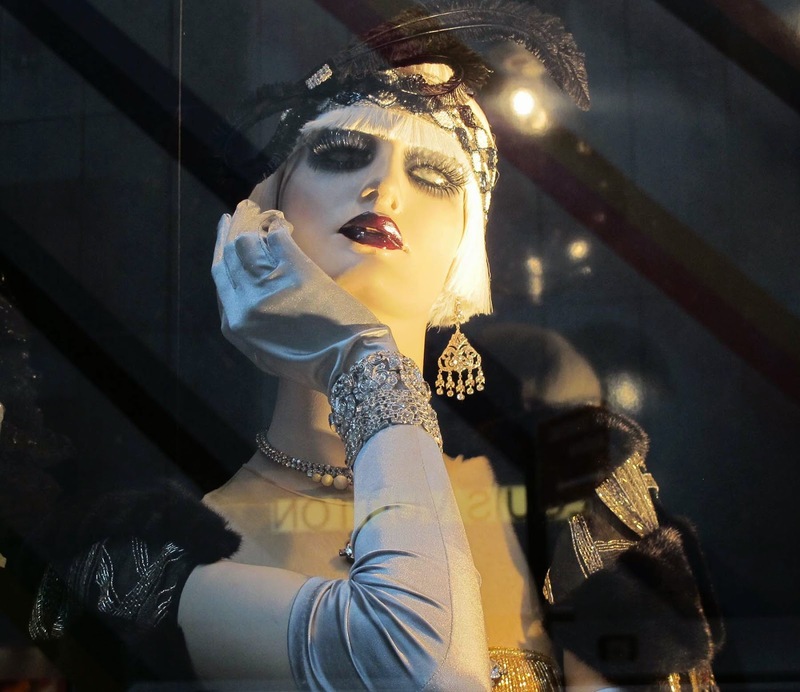 These scenes is a nod to the store’s birth in “the roaring ‘20s when shopping was glamorous and everything felt possible. The store was opened in 1924, and from the beginning it offered the highest quality clothing for men and women. It has had a rich history as a fashion innovator: from launching Estee Lauder’s cosmetic line in the 1940’s to decorating the 1969 White House Christmas tree. 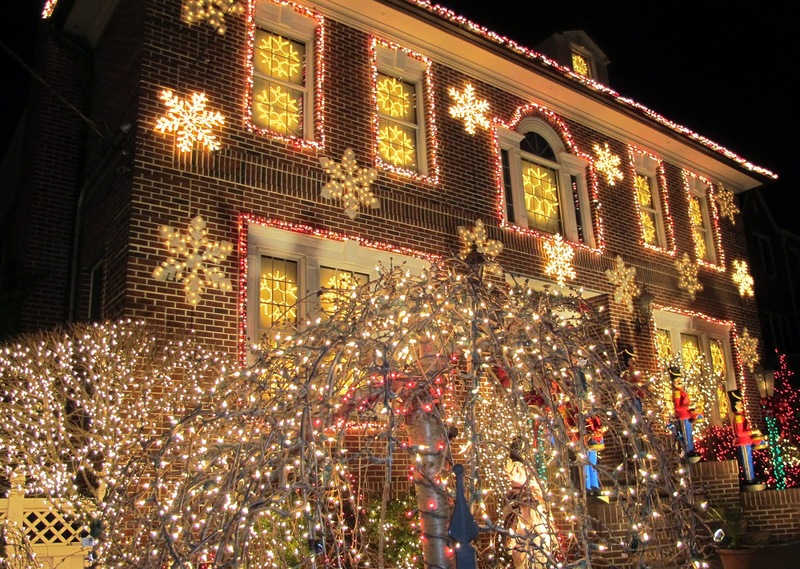 A light show on the building’s façade, incorporating 71,000 lights, will continue to run every day and night through the new year. 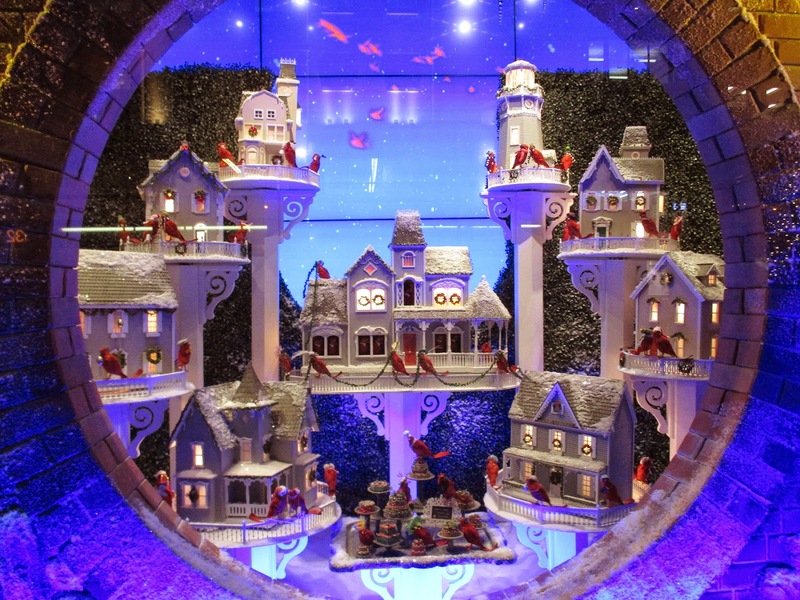 Retail network web site wrote: "For the 15th consecutive year, the design:retail Winning Windows Awards honor the top three Manhattan retail stores for their excellence in holiday window design. 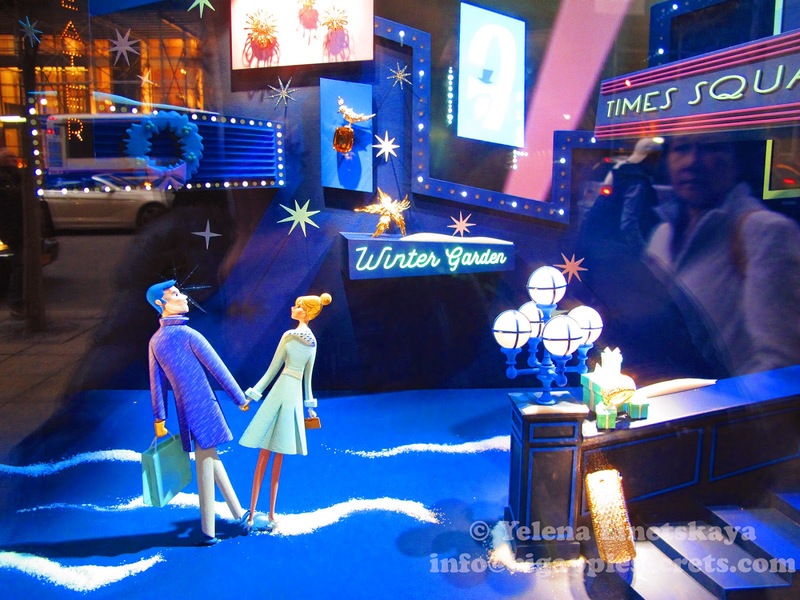 This year, design:retail named Saks Fifth Avenue as the Platinum Award winner as the best holiday windows in New York. Winning Windows judges walked New York, touring the storefronts and marveling at the windows visual teams across the city have spent the past year planning. 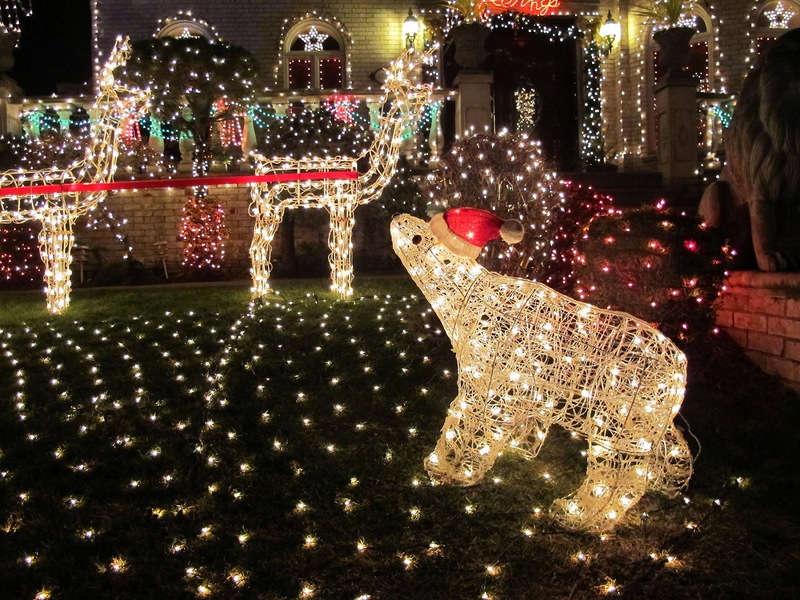 Judging was based on three criteria: originality and creativity, spirit of the season and technical aspects of execution".